Double lined 4/3 mm Canyoning Steamer special for canyoning guides. NEW! : Sealed seams outside, new closure system and YKK couloured zippers. ULTRASTRETCH neoprene (super elastic) on the whole suit. WARM PLUSH inside to keep warm. Body in 4 mm. Sleeves in 3 mm, which provides greater comfort and movement. NEW! Front pocket to keep camera and additional pocket with cord to keep the whistle (not included). reinforcement on hip pad,elbow and knees. 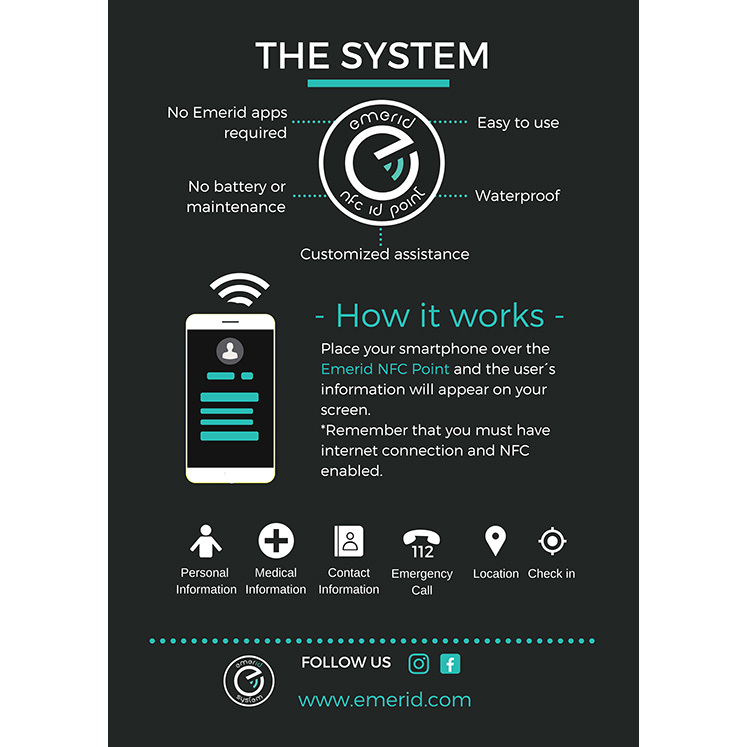 EMERID NFC ID POINT: This wetsuit has included a new Emergency Identidication System (Emerid System) with NFC technology. It provides instantly important information as: Personal info., medical info., contact info., emergency call and location. * No application nor programs installation from Emerid is required. ** The smartphone must have NFC enabled and internet connection. *** Although they are more and more, not all smartphones have NFC technology available yet.